Because of its world class potential, FUTREX leadership has always endeavored to bring the best expertise and innovative thinking to its design, engineering and development. The principal design engineer left Lockheed in 1974 with documented rights in the System 21 technology and continued to refine the design until 1986, when he founded FUTREX. The technology package of designs, engineering drawings, patents and trademarks were transferred to the new corporation. 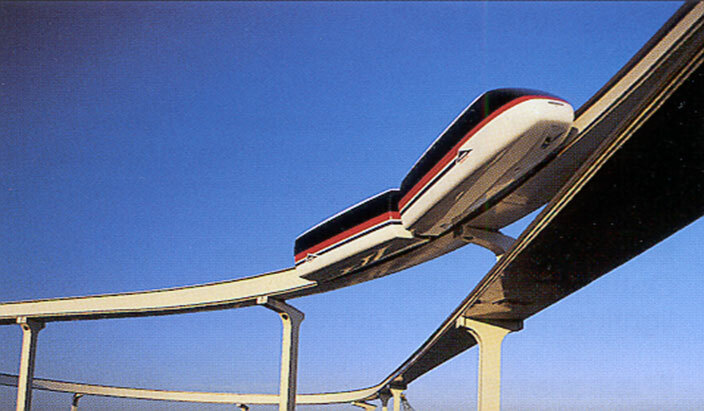 During Phase I of the technology’s development (1971-1994), the System 21 concept was subjected to engineering evaluation and technical validation from a wide spectrum of leading transportation engineers, academics, scientists and potential customers. These assessments, including studies by Battelle Memorial Institute and the U.S. National Bureau of Standards, consistently confirmed the feasibility of System 21’s design and its industry potential. 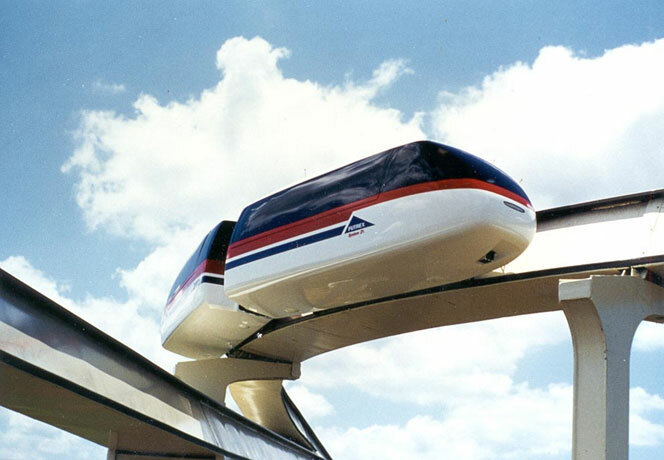 In Phase II (1995-1996), FUTREX and its consortium constructed and evaluated an operating, quarter-scale model/prototype of System 21, which proved the concept, attracted public and industry support and generated market interest worldwide. The Phase II project also validated the Company’s commitment to employing a consortium of leading firms in System 21’s development. These firms included Battelle, DMJM+HARRIS (now AECOM) and Powers Design International. The project evaluation conducted by Battelle confirmed a validation of the System 21 design and positioned FUTREX to move forward with full-scale development. The Company began Phase III in 1997 with a focus on financing, engineering and demonstrating a full-scale prototype of System 21, a project estimated to require three years and $40 million. This focus was driven by the conclusion that a full-scale demonstration was required to overcome traditional industry requirements for “proven” technology and to become eligible for Federal and local installation financing. An additional $6.2 million in Federal matching grants for full-scale development was committed and alternative prototype sites were identified. The Company also added two leading firms to its consortium for Phase III, Gangloff, AG for vehicle design and production and SYSTRA, Inc. for the critical systems integration role. FUTREX and its team identified tasks, milestones, budgets and schedules for the three-year project. During this period, the System 21 technology was reviewed favorably by two State transportation agencies and a major U.S. airport as a preferred transit solution when fully developed. In 2000, the Company entered into a major joint venture/licensing agreement and the focus shifted to securing an initial commercial installation and additional projects in Asia. Prior to committing financing and finalizing the agreement, the Asian partnership commissioned and relied upon an investment-grade evaluation of the System 21 technology by a recognized U.S. transportation engineering firm. 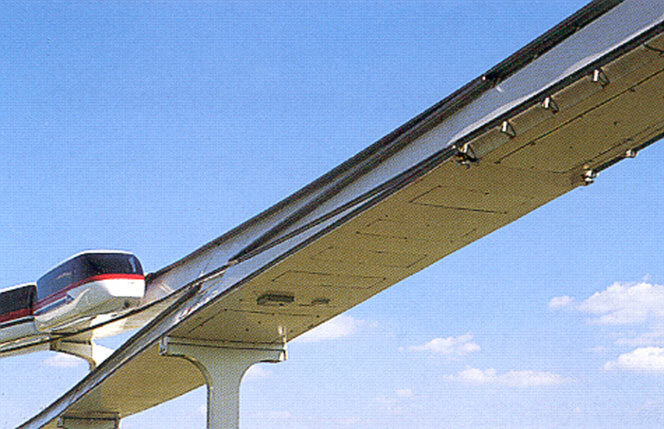 In 2002, the Manila International Airport Authority unanimously approved a bid to privately finance, engineer, install and operate a 3.0 mile System 21 automated people mover to connect three passenger terminals. The System 21 component of the project would have cost US$35 million per mile, including one-time, final development expenses. FUTREX and its Asian partners had added leading firms in the areas of finance, insurance and construction to its project team. System 21’s low cost and narrow profile made the project feasible and Philippine officials were also excited about having the flagship installation of an innovative, U.S. technology. Though the project eventually stalled because of unrelated legal disputes, it validated the potential of an initial System 21 installation in lieu of a full-scale demonstration and the willingness of leading finance and insurance companies to underwrite it. While pursuing specific installation and joint venture opportunities, the Company has continued to refine its plans and priorities for System 21’s final development. FUTREX has identified and catalogued numerous components in the final engineering process that could become candidates for patent protection. The Company has also developed a narrowed engineering and development project for the System 21 vehicle and unique suspension, the most critical element in Phase III. Since the System 21 guideway is a relatively straightforward civil structure, a focus on the vehicle and suspension should reduce the cost and time to complete Phase III. As promising as the technology’s development has been to date, significant advances in related fields could enhance System 21’s capabilities and potential to be a new standard among transportation systems and accelerate its entry into the market. These advances include: new, lighter and more durable materials and coatings for vehicle and guideway; improved control systems, power electronics and propulsion systems; and alternative, “green” energy sources such as solar cells, batteries, and fuel cells that might be adapted to the relatively light-weight System 21 platform. 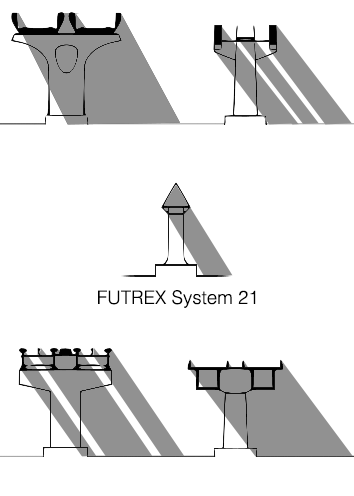 FUTREX has established a Phase III design speed of 70 mph for System 21 to meet all urban applications. FUTREX engineers believe that a revised suspension will permit future speeds in excess of 100 mph for short, intercity trips and high-speed access links if market conditions warrant. The advantages and versatility of the System 21 technology are compelling and it can become a preferred solution for transit applications worldwide with additional resources and development.